← It’s Time To Charge For Parking At Princeton Community Pool. Yes, Really, It Is. Mixed-Use Residential Development To Come To Princeton’s Gasoline Alley? Do you remember Turney Motors on Nassau Street? The used car dealership?? What about Davidson’s? 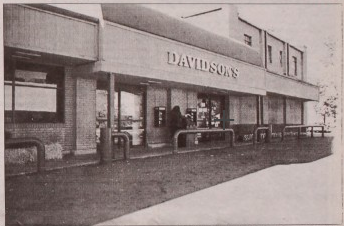 The supermarket which operated first at 172 Nassau Street, and then at the former Turney Motors site at 255 Nassau Street between 1985 – 1998? This same site was subsequently operated as ‘Wild Oats’, a health food store, which closed in 2007 around the time the chain was bought by Whole Foods Market. Since then, no long-term client has leased the site, while the owners have petitioned the Princeton Borough Council to relax zoning to make it easier to rent. Now, a new proposal to redevelop the site is being prepared for consideration by the Site Plan Review Advisory Board, a body which reviews major development proposals in Princeton. Based on zoning changes enacted last year amid some controversy, the site owners now propose to apply for a variance to make the site a four-story mixed-use structure, with a bank on the ground floor, offices above, and fourteen residential units. The plan could be a winner for the owners, assuming they can straighten out issues about access to the site down a service drive owned by Princeton University. The East Nassau / Gasoline Alley neighborhood in which the building is situated could also benefit from redevelopment of the underused site. 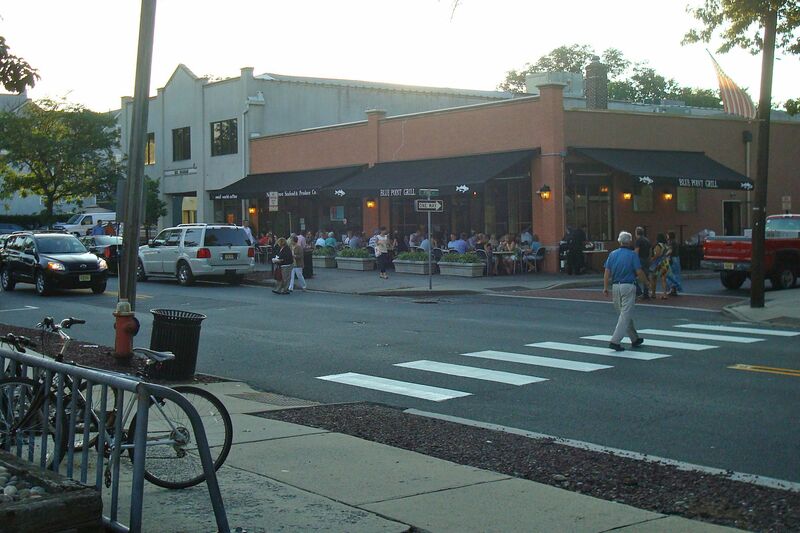 A mixed-use complex with residential units in this ultra-walkable neighborhood would be extremely desirable, and would provide housing where residents could walk to all the amenities of downtown Princeton, top-quality dining options and several key jobs centers including the University and Choir College. However, it’s not clear that everybody will be excited about this redevelopment. In 2010, 68% of local residents answering a survey indicated that they did not want a bank to occupy the site. There might also be questions about increased residential density, although local residents seemed relaxed about the addition of high-density accommodation for Princeton University visiting faculty at nearby Olden Street. We look forward to seeing this plan and checking out what could be an important contribution to walkable housing in downtown Princeton! 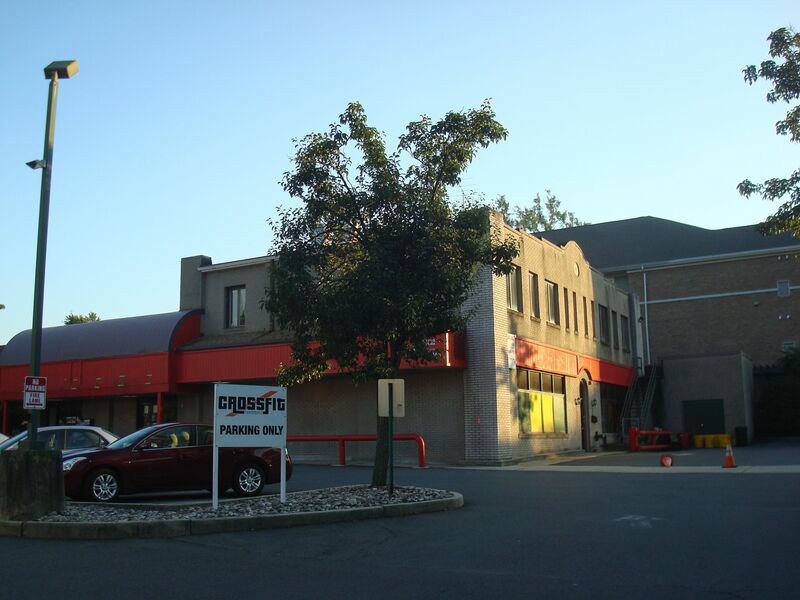 How do you feel about proposed redevelopment in East Nassau / Gasoline Alley? Do you welcome walkable housing? Do you fear increased traffic? Or would you miss the existing [very popular] Crossfit facility? Leave a comment below or at our Facebook page! This entry was posted in Density, Downtown Vibrancy, Princeton, Smart Growth, Zoning and tagged Nassau Street, Princeton. Bookmark the permalink. 6 Responses to Mixed-Use Residential Development To Come To Princeton’s Gasoline Alley? A bank is a bit boring – wouldn’t an ATM suffice? And a nice somewhere (bar? restaurant? shop? bowling alley?) to spend the money you withdraw. I do like the idea of mixed use, though.